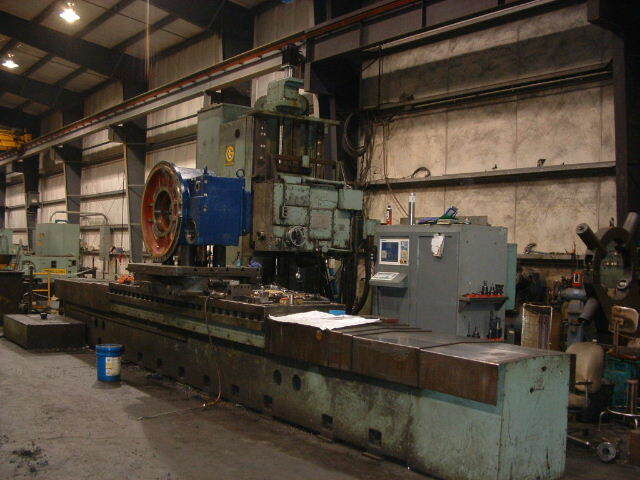 This is a 5" horizontal boring mill from the late 1960's. Advanced Machinery Resources of Vancouver Washington provided a Centroid M400 control package for it in the summer of 2006. I performed the installation and all custom wiring and PLC programming. 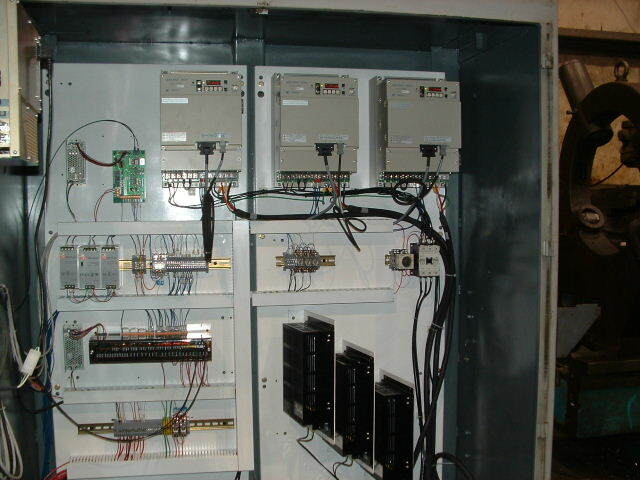 The Centroid M400 console, PLC, and Yaskawa servo drives were installed into the old Allen Bradley console cabinet. The old console cabinet fit all the new components with room to spare. The customer cleaned and repainted the subpanels for a nice new look.